Hey Guys!! So I am back with another review!! 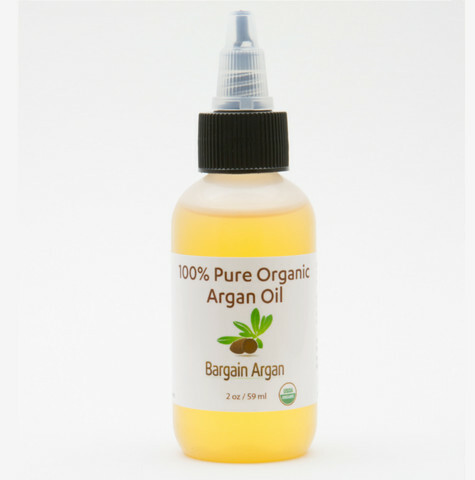 Today I going to be reviewing Bargain Argan Oil! I was pretty anxious when I received this item because I’ve never used Aragn Oil before but I always heard great things. At first I planned on using it in my hair, but once I received it and used got a list of all the things I can do with it, I decided to use it on my skin and nails! Which was amazing! I started applying this on my nail bed consistently every night before bed. My cuticles have always been on of my issues because I use to be an avid nail bitter. so my cuticles have always stayed dray and hard, even though it’s been YEARS since I’ve stopped biting my nails. But I am telling you, after about a week of using this stuff I notice my cuticles getting soft and staying moisturized. Now as far as my skin goes, I’ve been using in ONE drop in my moisturizer. Since my skin is Oily I didn’t want to do too much. But I did notice that my skin stayed moisturized and more radiant. This stuff is awesome and very inexpensive compared to the other kinds of Argan Oil it retails for a 2oz. bottle for $12.49. I’ve been using this size for about a month and I’ve barely gotten through half yet. So a little does go a long way. It comes it a twist up pointed knob, which make for easy application and less mess. The customer service is great as well. They answered any questions that I had in a timely manner. So that was a great plus as well. Over all, I think this is a great way company if you are not too sure about Argan Oil and give it a try. I plan on trying this out on my hair in the upcoming months. I will make sure to do an update when I do.